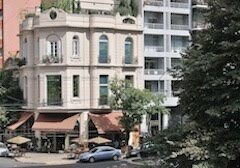 Southern Cone Travel: Croissant v. Medialuna: A Franco-Argentine Faceoff? More than once, I’ve expressed my distaste for the cliché that Buenos Aires is the “Paris of the South,” when it’s really a New World immigrant city that’s more closely analogous to New York. Admittedly, I’m no Francophile – on three quick trips through France, I’ve managed to avoid Paris every time – but I can still point out the superficiality of such comparisons. 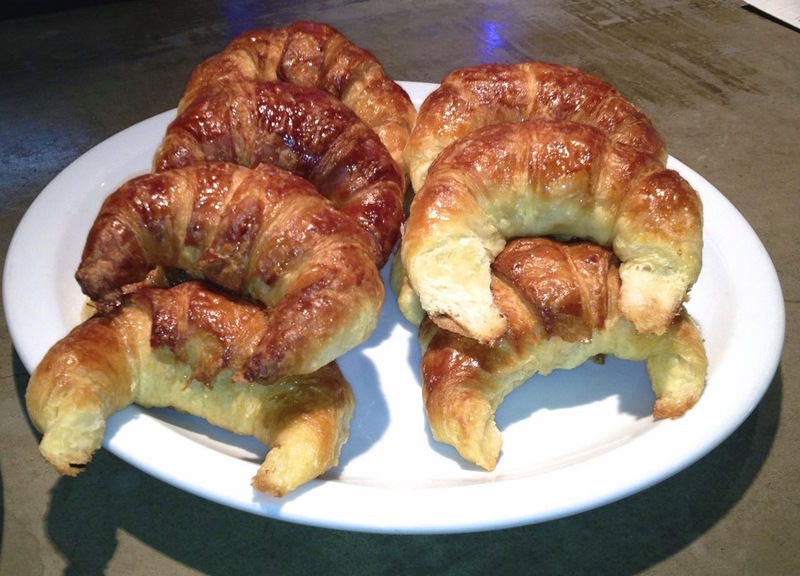 Today I’ll do so with my own comparison – or rather contrast – between two typical food items, the French-style croissant (pictured above) and the Argentina medialuna (pictured below). The Spanish word medialuna literally means “half-moon,” but I’ve always thought that a misnomer – it looks more like crescent moon to me. 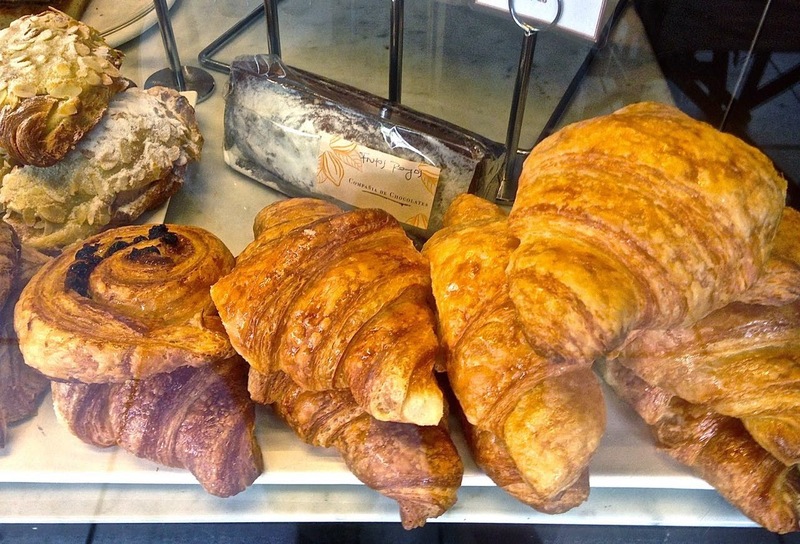 I’ve always liked croissants, with their light flaky dough; the ones at top come from the Compañía de Chocolates in our Palermo neighborhood, which produces the closest thing I’ve seen to its authentic French counterpart here. There are several other branches around town. The smaller medialunas, by contrast, consist of heavier and breadier dough. There are two styles: I prefer de manteca (buttery and sweeter) to de grasa or salada (savory), but both are available at almost every bakery in Buenos Aires and the provinces, and form part of the buffet breakfast at almost every Argentine hotel. I would normally leave the house early every day to get the freshest possible (I try to limit myself to two with my morning tea). While French-style croissants may be available in Buenos Aires, they’re not quite authentic – I like them buttery, but I could do without the sugary glaze that these come with. They’re also considerably more expensive than medialunas – my morning fix of the latter (also glazed) costs me nine pesos (US$1 at the official exchange rate, US$0.69 with the “blue market” advantage). The croissant and a pan de chocolate (pain au chocolat), meanwhile, cost me 44 pesos (US$5.15 at the official rate, US$3.38 with “blue pesos). That’s not a budget-buster but, on most mornings, I opt for medialunas. It’s fair to add that, back home in California, I can get better croissants (for a slightly lower price than the official rate), without the glaze.